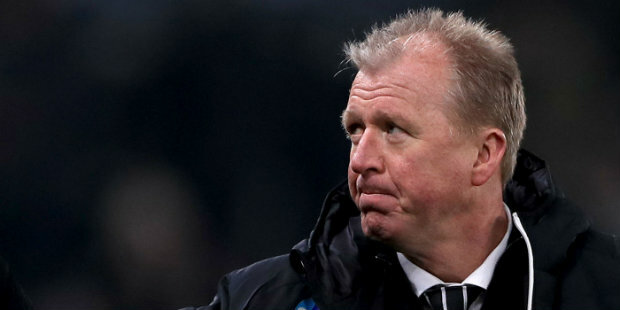 Steve McClaren is confident QPR will soon turn the corner after a poor run of results. Rangers have lost five consecutive Championship matches and slipped to 18th in the table. They have been unlucky in recent matches, losing to a controversial Bristol City penalty in stoppage time this week, having been denied a point by a late penalty save against Birmingham on Saturday. However, speaking at a media conference on the eve of Friday’s FA Cup fifth-round tie against Watford, Rangers manager McClaren predicted that his team’s luck will soon change. “You don’t like losing football matches, but we started the season with four defeats and had a great run and climbed up to eighth,” McClaren said. “Just recently our performances have been inconsistent. We’ve talked about it. In the last week I’ve been pleased with the performances. “Against Portsmouth, a good win to get through to this round. Although 4-0 down against Birmingham, unbelievable character and attitude and missed a last-minute penalty to come back to 4-4. “And the other night, never deserved to lose the game. But the attitude, consistency and performance was there. “We need to stay calm in this situation, as always, stick together and need to work hard because if you work hard you get luckier. The game against Premier League Watford will be QPR’s third match in the space of six days. McClaren said: “It’s not ideal but we get on with it. We wanted to do well in the FA Cup – the supporters have kind of demanded that this season. Friday’s game is a sell-out and a cracking atmosphere is certain as QPR – in the fifth round for the first time in 22 years – try to secure a quarter-final place. “Loftus Road, Friday night under the lights, a full house – it’ll be a great atmosphere and we’ve got to respond to that,” said McClaren. ‘Upturn imminent’ – not before time, I dont want to keep being a miserable old git, but why field a weaker team & go 4 down before putting it right? I know we cannot cater for referee errors, but when it happens after we commit suicide, it makes the unexpected a ‘killer’ especially when so late in the game.